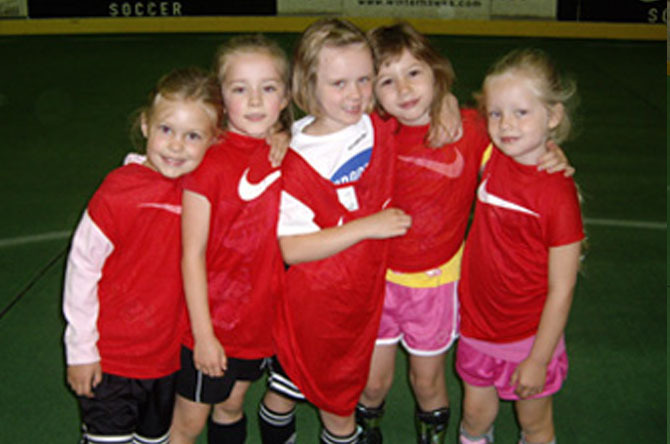 The FUTURE STARZ program at Indoor Goals introduces kids to soccer in a fun and safe environment. With its fun and imaginative games and activities, our programs will help kids develop soccer skills, coordination, and learning abilities in a supportive, motivating and positive atmosphere. FUTURE STARZ classes are offered in 8 week sessions. Join anytime, and we’ll prorate the remaining classes in the session! Drop ins are welcome too, but please call first to confirm that there is room in the class. Week day Future Starz classes are offered throughout the school year. Our Saturday classes run year-round. TO REGISTER: You can register online by clicking the REGISTER button for the appropriate class. OR you may register over the phone (503) 629-9500 or in person. ONLY PAID REGISTRATIONS GUARANTEE A SPOT IN CLASS. Click here for a class brochure. Weekday classes meet during the school year. Join anytime! Saturday Class Session Dates (on going year-round) Join anytime and the session will be prorated. 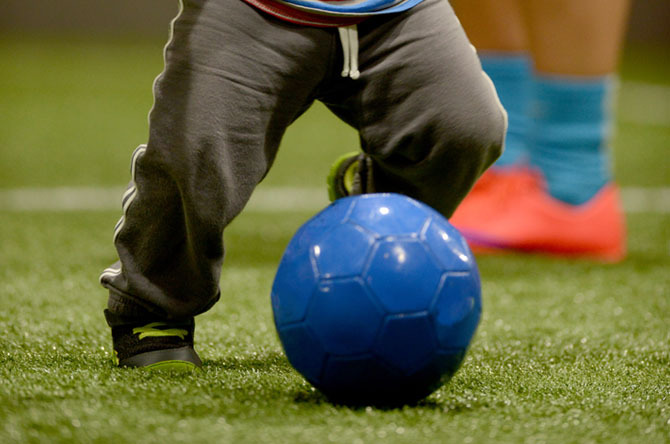 Our Toddler Soccer class actively builds motor skill development as well as self confidence in a non-threatening FUN, often ZANY environment. Age appropriate games are played in this 45 minute parent interactive class that will engage your toddler. Cost: $95 for 8 weeks Join anytime! Our weekday Toddler class meets during the school year. You may sign up anytime! The Saturday classes meet year round.. You may sign up anytime! Click here for terms and conditions. 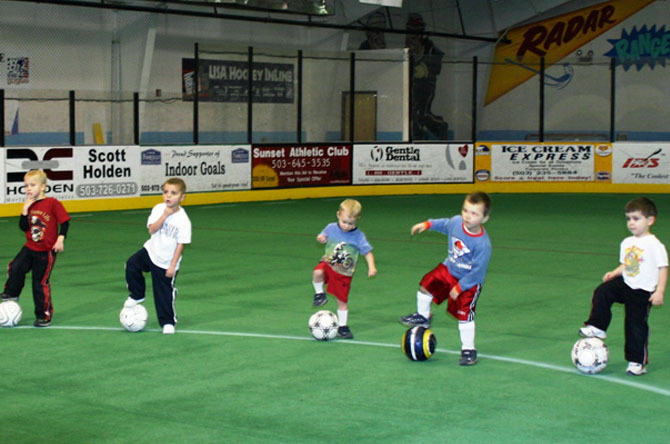 In our Preschool Soccer class kids will delight in movement and skill games. Developmentally appropriate. Dribbling, trapping and passing learned. Wear your sneakers & shin guards (no cleats please) and come ready for 45 minutes of soccer fun! Cost: $95 for 8 weeks Join anytime! Weekday classes meet during the school year. You may sign up anytime! Click here for terms and conditions. Join us for 45 minutes of soccer fun. Kids will learn dribbling, passing, shooting, defense, and even some goalkeeping! Wear your sneakers & shin guards (no cleats please)! Classes are specifically designed for your kindergartner aged 4-7. Cost: $95 for 8 weeks. Join anytime! Weekday classes meet during the school year. You may sign up anytime! The Saturday classes meet year round. You may sign up anytime! Click here for terms and conditions. Our Skills & Scrimmage class is 15 minutes of soccer skills training followed by 30 minutes of scrimmaging. Age appropriate skills are taught during the 15 minute skills session. During the 30 minutes of scrimmage, on field coaching teaches reinforces the skills learned earlier in class. Skills & Scrimmage classes are offered in the fall and spring when there is no youth league. 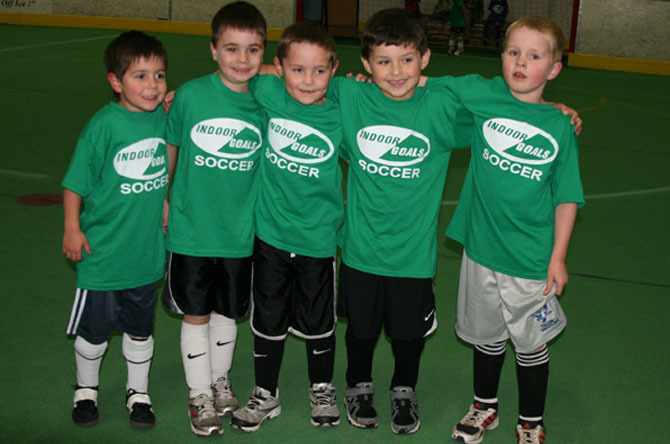 During youth indoor soccer season (mid-Nov through March), we do not offer the Skills & Scrimmage class. Kids can join a house team (or enter a preformed team). To sign up for a house team, contact Meg@indoorgoals.com. Cost: $95 for 8 weeks. Join anytime, and we’ll prorate the remaining classes in the session! Classes start the week of April 1, 2019. Click here for terms and conditions. Specifically for 4-10 year olds. 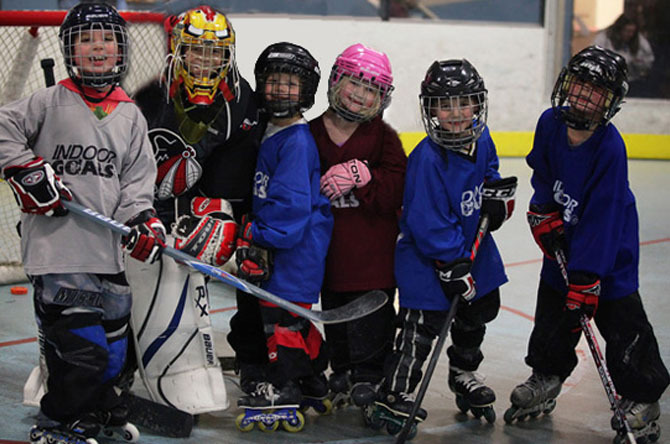 This class will introduce your child to Inline Hockey. Stops, starts, forward stride, turns, crossovers, stick handling, passing, shooting, backward skating will all be mastered in this class. Join anytime! We'll prorate the price if you join midway through the session! Click the register button below, or call Indoor Goals at 503 629-9500 to sign up. Click here for registration information. Cost: $199 for 15 week session. Click here for terms and conditions. Mondays 5:00-5:55pm Ongoing all year! Required Equipment for hockey class: Inline Skates, knee & shin protection, elbow pads, cup & jock (males), pelvic protector (females), HECC approved helmet (full face shield for under 18 yrs), long pants or socks to cover shin guards, hockey gloves & stick, attached colored mouthpiece. Rentals available! !